Facebook’s recent announcement of their new Offline Conversions API generated a lot of buzz and excitement among marketers and for good reason. The new API provides stores and retailers with a way to see how many people made offline purchases after seeing a Facebook campaign—connecting offline conversions to digital campaigns. They can then use these offline activities to optimize their ad campaigns and ad spend. As a Facebook marketing partner, Marketo was excited to be a part of their launch announcement. Even more exciting is that our integration enables an expansion of this offline conversion concept to a much broader set of use cases that apply to all marketers, B2B marketers included. Before I get into the details of how you can use the new Offline Conversions API with Marketo, let’s start with some basics. 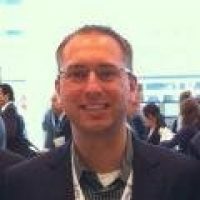 What is an offline conversion event? In this case, an “offline” conversion event happens when a contact in your database performs a desired action on a channel not measured by Facebook. When Facebook made their announcement, most business publications (Forbes, AdWeek, etc.) focused on the retail use case. While that is certainly a huge use case for an offline conversion event, I’d argue there are a lot more potential “offline” conversion events that impact marketers. In fact, offline conversion events can give marketers a complete omni-channel view of all the sales and conversions attributable to Facebook, regardless of location, channel, or campaign. Let’s say that you’re a B2B marketer on the demand generation team for a SaaS company. If your team buys Facebook Lead Ads to drive top-of-funnel growth, you shouldn’t just optimize your campaign based on form submissions. Instead, tie it to a metric that’s measured internally: the number of MQLs (marketing qualified leads) it drives. All leads are scored within Marketo based on pre-defined criteria to determine if they are ready to be passed to the sales team, and they are considered MQLs only if they meet the right qualifications. This is an important metric to track, since MQLs that are further qualified by sales become SQLS (sales qualified leads), which can ultimately translate into new opportunities and revenue. In the image below, an example revenue model, you can see how leads come in at the top-of-the-funnel as names, then progress further into the funnel as they continue to engage with your company. By optimizing your Facebook campaign for MQLs and not form submissions, you can increase the number of conversions that drive more qualified leads down the funnel. 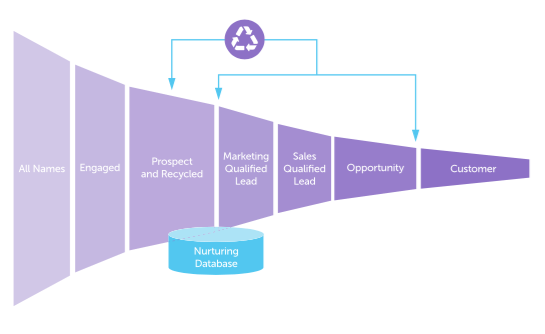 For B2B marketers, and even some consumer marketers, it’s likely that you have (or would) set up a scoring model within Marketo to qualify incoming leads or contacts. Scoring models attach values to various online and offline engagement events between your brand and the buyer. With the integration of Facebook’s Offline Conversions API and Marketo, you can optimize your scoring model so that when a lead has reached a specific lead score as the result of a combination of different interactions, it’s defined as a conversion event. This way, a lead doesn’t need to, for example, download content or attend an event for it to be considered a conversion. 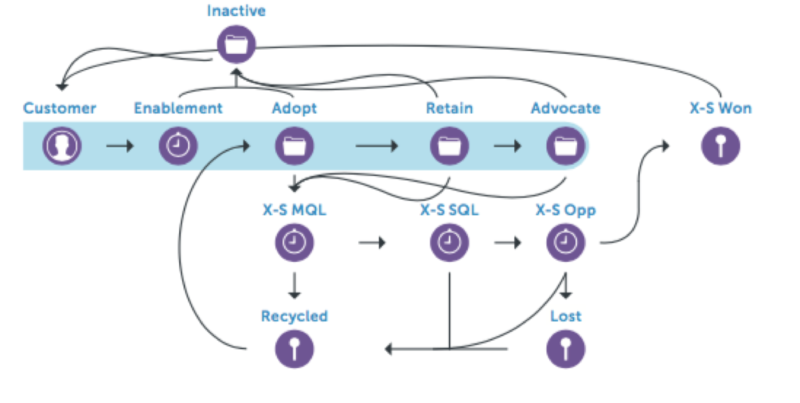 The example below shows how a revenue cycle might be modeled within your marketing automation platform, governed by how each buyer interacts with your brand—their behavior across channels, their engagement with your campaigns, their lead score, and even data changes in your CRM system. By tracking when a lead hits a specific score that signals a conversion event, you can optimize your campaigns to tailor your ads to them appropriately. For example, for existing customers who have a score much higher than a MQL, you’re still able to identify scoring thresholds that signals they’re ready for cross-sell. If your company sells products that require in-home consultations, such as window treatments, you may want to optimize your Facebook Ads towards the number of in-home appointments it generates, rather than the number of online appointment requests. It’s likely that there’s a discrepancy between the number of online appointments booked and the physical appointments completed, but previously, this type of data was hard to track and made it hard to follow up on. Now, because of this integration, your sales consultant can log physical in-home appointments into Marketo and that data will be sent as an offline conversion event to Facebook. Then, your paid media team can re-evaluate their campaigns to understand how to optimize their ad spend to drive more completed in-home appointments. For a digital marketer at a car dealership, one of your initiatives probably include increasing the number of visits to your show room and test drives by prospective customers. Previously, you might’ve used Facebook Ads to encourage prospective customers to fill out their info in forms online, but it was tough to tie those initial interest requests to actual test drives. Now, with Facebook’s Offline Conversion tied to Marketo, you can capture how Facebook Ads results in in-person interest and test drives—connecting your Facebook ad spend directly to a test drive of a car so you can better optimize to ultimately improve sales. As you can see, Facebook’s new Offline Conversion API can be used for a whole variety of broader use cases for ALL marketers, not just retail and physical purchases. In conjunction with Marketo, you can drive alignment between your paid media campaigns and other campaigns to improve results and ROI and offer a better customer experience. Have you set up Facebook Lead Ads within Marketo yet? I’d love to hear your use cases in the comments below!